Citi Bike will triple its current fleet of 12,000 bikes — and double the system’s coverage area — as part of a five-year, $100-million investment from the company’s new owner, Lyft, to grow the largest bike share system in North America. Raise the Citi Bike fleet size to nearly 40,000 bicycles and more than double the size of the current service area, which is limited to most of Manhattan and tiny slivers of Queens and Brooklyn. Citi Bike’s exclusive operating zone currently covers 30 square miles of New York. That would raise to 65 square miles — a zone that would include significant swaths of the boroughs. Expand the deployment of pedal-assist e-bikes — though the company would not release a projected number. Expand the existing “Reduced Fare Bike Share program,” which gives NYCHA residents and SNAP recipients memberships for $5 a month. Citi Bike currently has more than 147,000 annual members. That number would be expected to grow dramatically if Citi Bike expands into commuting-distance neighborhoods such as Sunnyside, Jackson Heights, Washington Heights, Hunts Point, Mott Haven Sunset Park, Crown Heights and elsewhere. The expansion would be almost entirely docked. Citi Bike has experimented with dockless bikes with a pilot effort in The Bronx, but it has not enjoyed nearly the same level of ridership as the existing docked system. Mayor de Blasio hailed the announcement in a statement Thursday, but it is unclear what, if anything, the city has done to precipitate Lyft’s huge expansion. Unlike other forms of mass transit, Citi Bike is not subsidized by the city. 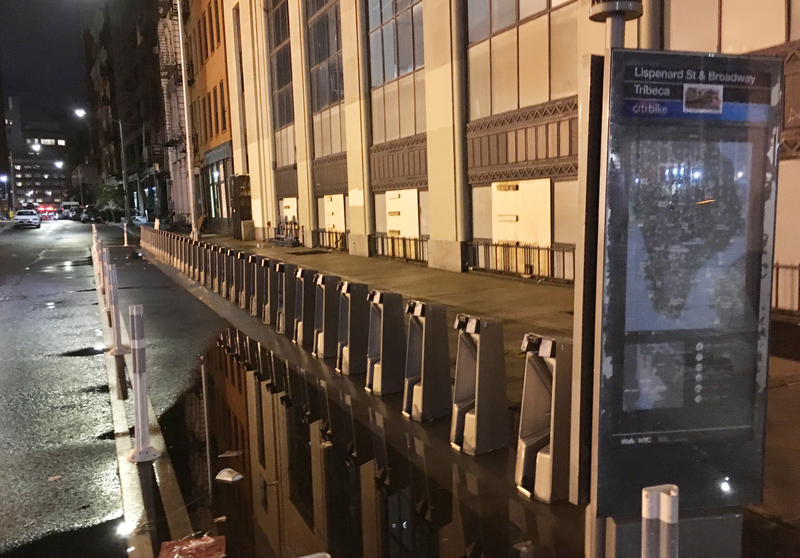 Samponaro said the city’s commitment would come in the form of “community outreach” to ensure that Citi Bike docks get properly cited in various neighborhoods. She praised the city as a “partner” in Lyft’s effort. For all the good news for Citi Bike fans, there is some bad news for the company’s would-be competitors: Citi Bike will retain the exclusive right to operate bike share within its growing service area. 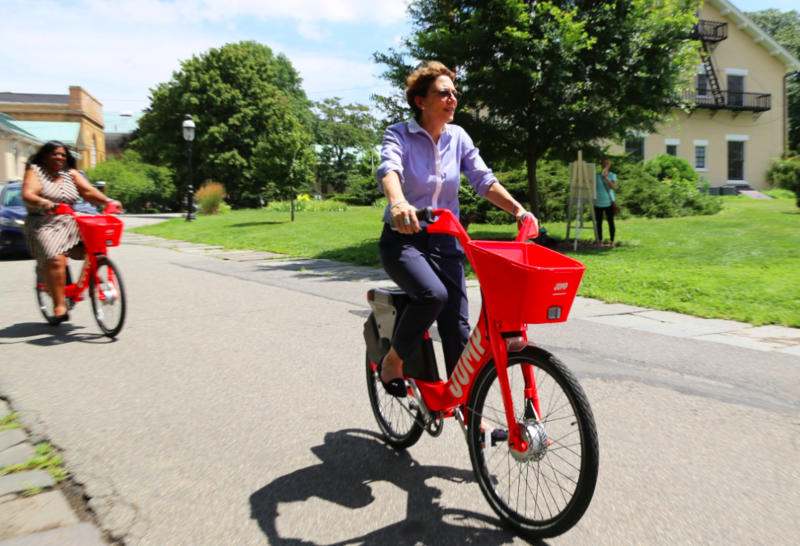 The city will retain the right to undertake pilot bike share programs outside of the expanded zone — as it has done in Staten Island, the Rockaways and The Bronx. Streetsblog asked Department of Transportation Commissioner Polly Trottenberg if the expansion of the Citi Bike exclusive zone suggested that the pilot programs had failed, but she disagreed. So Citi Bike is de facto New York’s bike share company. Naturally, Citi Bike competitors were annoyed. A spokesman for Lime — which also operates a pilot program — echoed that sentiment. Advocates for the poor also blasted the deal. Story was updated at 3 p.m. Thursday to include more information.